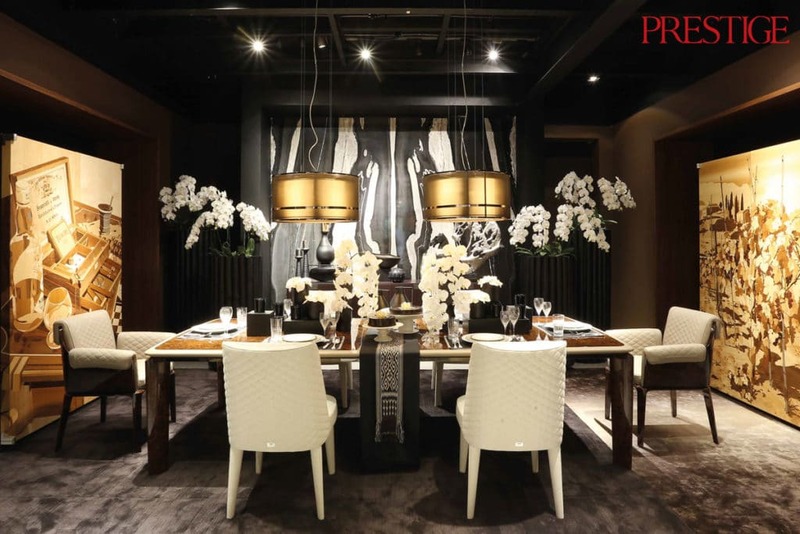 “I love something classic and timeless,” said Joke Roos as she put the finishing touches to her dining table setting at Magran Living in Kemang. Liviani Putri reports. Joke Roos can always be relied on to create something memorable for her clients. One of Indonesia’s most renowned interior designers and a member of the ID12 group, she began her career as an independent consultant in 1996 after graduating in Architecture from Parahyangan University in Bandung. Together with her husband, Denny Gondo, she went on to found Studio Air Putih in Bintaro, South Tangerang. During her career as a designer, she has won several honours, such as an Award of Excellence at the 24th Annual IALD Lighting Design Awards in New York. The term monochrome is usually taken to mean the same as black and white, or grayscale. But it may also be used to refer to other combinations containing only tones of a single colour, such as green-and-white or green-and-red. A Progetto50 unit from Toncelli stood tall, together with a Black Stallion Marble from Magran Group, giving an Italian touch to the dining take. 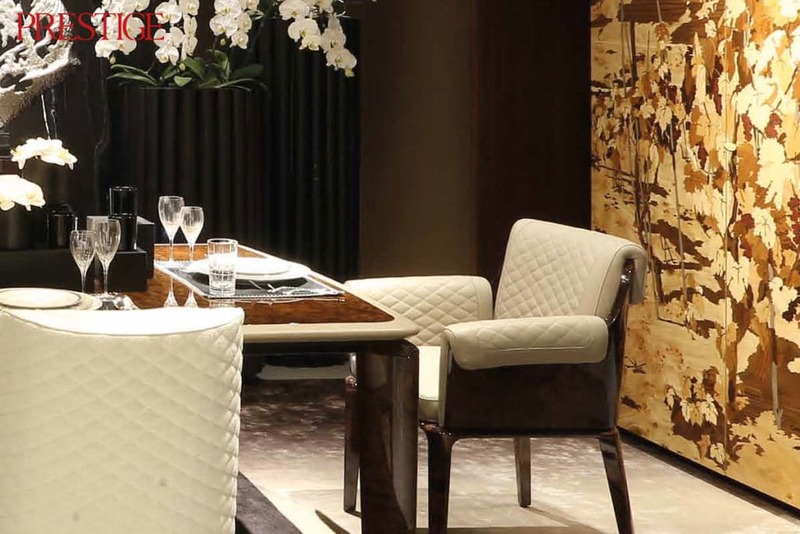 This artistic unit consists of three unique pieces dedicated to wines, cocktails and cigars. Its design is a tribute to the Renaissance, made of wood and hand-carved with images of medieval bell towers and the vineyards of Tuscany. 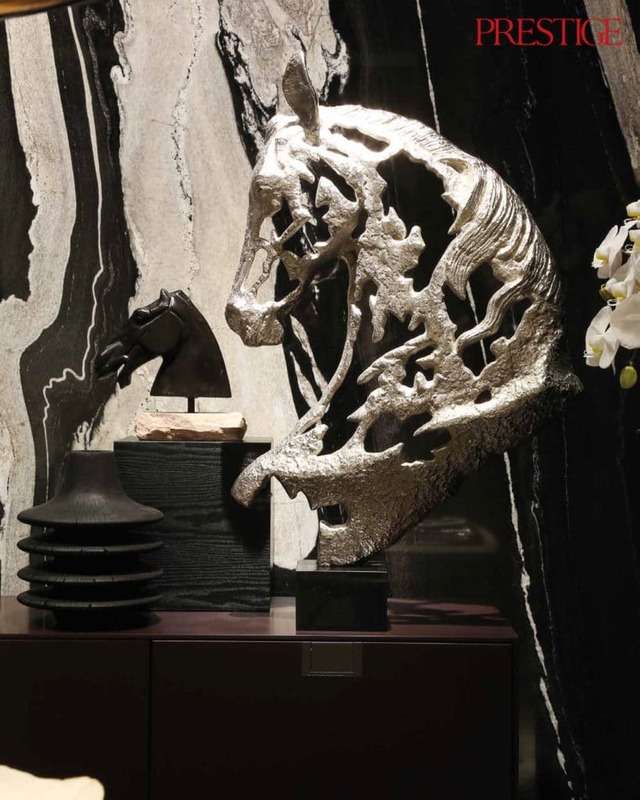 For a stronger look and to give the room a masculine touch, Joke added several horse statues from Klots in Kemang. 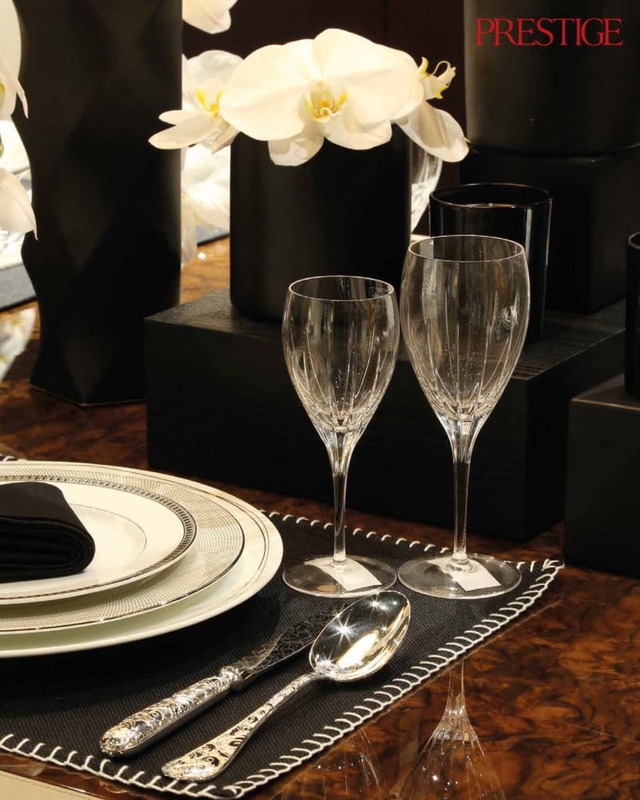 These are made of iron and black granite with antique bronze finishes as the accessories. “This animal captivated my interest because it symbolises personal drive and passion. It is also represent physical strength, vitality but also psychological stability.” The statues stood beautifully on Alcor Sideboards from the B&B Italia Maxalto Collection. 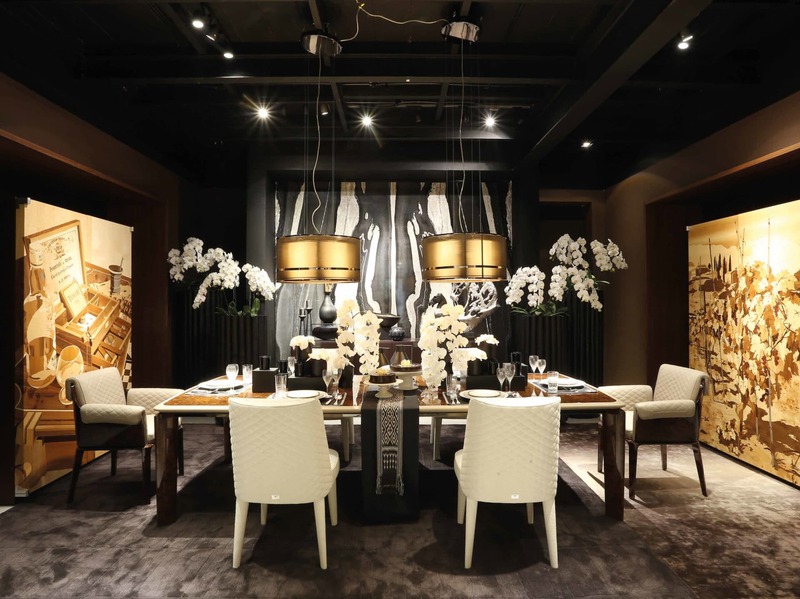 A unique chandelier from Fendi Casa provided soft and warm lighting. The Sherwood and Samford dining table and chairs came from Bentley Home. On the table, Joke placed an Aksalina shoulder scarf with Marilotong textile pattern from South Sulawesi. The designer loves to mix Indonesian tradition with European design ideas. “Marilotong is the name for the black and white architectural ceremonial hangings made by the people in Toraja,” Joke said. “It symbolises the duality of heaven and earth.” The striking black and white textiles are made using mud dyes. The tableware Joke used for her setting included Jardin d’Eden (Garden of Eden) by Christofle, a French manufacturer of fine silver flatware and home accessories. Other pieces came from Klots, such as an Italian bowl, a polished Tazza cake stand in white from the Barbara Barry Collection and a Casablanca Cake Stand from the Julia Buckingham Collection. “I put orchids on the table to add a sense of balance – a strong ambience, and yet a beautiful one,” said Joke.